In some lessons the focus is not word inquiry yet word inquiry is a critical element of the lesson. This sounds contradictory but illustrates how principles of morphology and etymology are embedded in every humanities lesson. Today our focus was an examination of the elements of hatred. We began with various words and phrases written on the board: ‘scapegoating’ , ‘ridicule’, ‘harassment’, ‘assault’, ‘social avoidance’, ‘terrorism’, ‘not challenging belittling jokes’. I had asked students to rank the categories: ‘prejudiced attitudes’, ‘discrimination’, ‘genocide’,’violence’, ‘acts of prejudice’, from the lower levels of hatred to the most extreme and to do this on a pyramid as suggested in the Pyramid of Hate a useful framework by the Shoah foundation for considering the degrees of negative actions and attitudes as steps on the path to genocide. Students discussed the categories and where they would place the attitudes and actions in small groups. In order to do this, students needed to understand these words and that means beyond ‘a look it up in the dictionary, read only the denotation, learn it and move on!’ We had examined these words throughout the year, the morphology and etymology, and continue to refine our understandings in ‘working definitions’. So despite the length of this post (!) the word analysis was ten minutes, a great opportunity review of past investigations into the morphemes and roots. Scapegoating: We immediately saw this as a compound word made up of three morphemes, <scape+goat+ing>. The first element <scape> according to Ayto is a clip of escape, a fascinating word and a story for another occasion- read here if you cannot wait! Rather than go through a longer process of investigation, I told students the story behind the word gleaned from Etymology online and Ayto’s Word Origins: first attested in English from 1530 in Tyndale’s bible where he translated the Latin phrase caper emissarius . This referred to a Hebrew word azazel perhaps being the name of a demon , the receiver of the goat or as later translators believed, it meant the ‘goat that departs’. This was linked with Yom Kippur, The Day of Atonement. So in Tyndale’s translation of the bible, the goat symbolically carried the sins of the people. All this is far more eloquently written about in Online Etymology Dictionary. However, it is only in 1824 that it takes on the meaning of ‘one who is blamed or punished for the mistakes or sins of others’ and a further one hundred and nineteen years later before we reach 1943 where ‘scapegoat’ is used verbally, according to O.E.D. in the Journal of Abnormal & Social Psychology. We wondered whether this was in reference to the targeting of Jews in Nazi Germany. Equally interesting are the words ‘scapegrace” and ‘scape-gallows’ both words sharing the base element ‘scape’ in reference to those who deserve hanging! Ridicule: Students recollected this from a previous investigation <ride+ic+ule> from Latin ridere/risus: laugh. The first element, the base, is bound, a homograph of the free base element <ride> itself Old English in origin. As we see from ridere and risus, if we remove the suffixes, Latin <-ere> and <-us> we are left with the stems <rid> and <ris> which transfer into English morphology as the twin base elements<ride> and <rise>. The bound base <rise> like its twin too is a homograph. Both have lead to words such as: ridiculous, deride derision, derisive, risible. Harassment: We are familiar also with ‘harassment’ <harass+ment> from Old French harer ‘to set the dogs on’, combined perhaps with Old French harier to drag, to draw out. The first verbal use of this as ‘harass’ is attested in 1610 with the noun harassment in 1753. The figurative image of setting dogs onto someone resonates with us as you will see in the clip below when one group discussed this. Terrorism: we had not previously examined this word, but a quick analysis revealed first< terror+ism> as a hypothesis , then a refinement to this with <ter+or+ism> the vowel suffix doubling due to the vowel suffix <-or> or a third hypothesis < terr+or+ism> We saw it was from the Latin infinitive terrere to fill with fear as opposed to another unrelated Latin etymon terra meaning dry earth or land. It’s only as I write this post now, that I discover that ‘terrorism’ in fact was first used in 1795 with the sense of “government intimidation during the Reign of Terror in France” (March 1793-July 1794). It broadened in 1798 at the time of the Irish rebellion to refer to the systematic use of terror as a policy. In this entry from the Online Etymology Dictionary, I discovered the use of ‘dynamitism’ for terrorism and during World War 1 the term ‘frightfulness’ a translation of German ‘schrecklichkeit’ for the intentional policy of terrorising enemy civilians. Using the Ngram viewer to note the increase in the use of the word ‘terrorism’ from 1780 unto 2008. Genocide: This was the last word students examined in this ten minute review. They recognized <gene+o+cide> as the morphemes and determined from the evidence of the word ‘decide’ <de+cide>, that <cide> was a bound base and frequent in use. Genocide therefore is a compound word. I introduced students to the term hybrid ( I hope correctly) as the word combines both Latin and Greek roots:Greek ‘genos’- race or kind and Latin ‘caedere “to strike down, chop, beat, hew, fell, slay”. The creation of this word is attributed to Polish-born U.S. jurist Raphael Lemkin in 1944 and replaced older words such populicide (1799) and the 1893 word ‘folk-murdering’, the English translation of ‘Völkermeuchelnden’. In his work to prepare for the Nuremberg trials Lempkin, managed to embed the term ‘genocide’ in the indictment against Nazi leadership. However, it was not until December 1949, that United Nations approved the ‘Convention on the Prevention and Punishment of Genocide’. He worked to encourage nations to pass legislation supporting this convention until he died in 1959, ‘ impoverished and exhausted from these efforts’. Read more about Lempkin here: Coining a Word and Championing a Cause. One of my students introduced me to the work of Yehuda Bauer, a leading Holocaust historian. This student had found a statement by Bauer that particularly resonated with him in his attempt to understand the conditions that caused the Holocaust. (See him read this below). Bauer’s writing helped me to clarify the differences between the connected terms ‘genocide’ and ‘Holocaust’. He writes of the vagueness of Lempkin’s definition of genocide as it includes ‘ both partial and total destruction’. Instead, Bauer suggests ‘ retaining the term genocide for “partial” murder and the term Holocaust for total destruction’. He argues that: ‘Holocaust’ can ‘be used in two ways: to describe what happened to the Jews at Nazi hands and to describe what might happen to others if the Holocaust of the Jewish people becomes a precedent for similar actions’. Holocaust: Students were surprised to discover that the word holocaust is first attested in English as early as the 13th century so connected is it in their minds to the events of 1941-1945. It is in fact a Greek compound from the etymons ‘holos’ whole and ‘kaustos’ the Greek adjective of ‘kaiein’ to burn. Applying it specifically mass murder of Jews under the German Nazi regime during the period 1941–5 was first recorded in 1957. “Thou shall not be a perpetrator; thou shall not be a victim; and thou shall never but never be a bystander”. 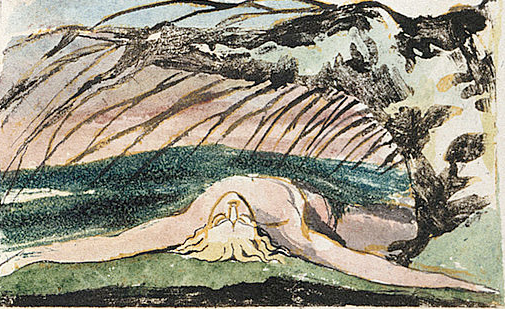 Blake’s illustration at the beginning of this post and the poem the Poison Tree has for me always exemplified how hatred can fester in the soul and left unchecked taints and murders. In the past weeks we have seen how hatred unchecked, ‘watered’ with fears and ‘sunned’ by distorted lies and propaganda rapidly escalated to the appalling violence in Kristallnacht and ultimately paved the way for the Holocaust.